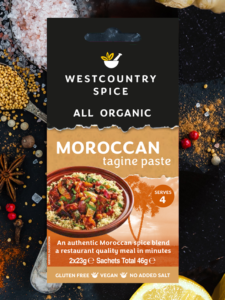 Our Westcountry Spice Moroccan paste gives this Moorish beef stew an aromatic and authentic Moorish flavour. 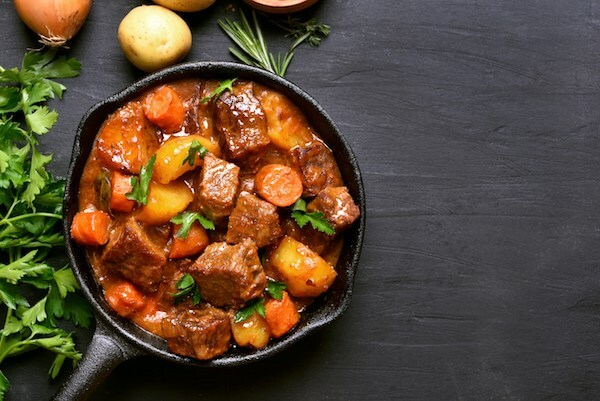 A hearty winter meal. A selection of root vegetables of choice (Potatoes, Parsnip, Swede, Turnip etc) cut into thick chunks. 1) Fry off steak and sear until brown – and then remove from the pan. 2) Sauté onion until clear and then add root vegetables and sweat gently for about 5-10 minutes. 3) Return beef to pan, stir in tomato puree and the Moorish Paste, and cook for 2 minutes. After the 2 minutes, add the stock. 4) Bring to the boil, reduce heat, cover and simmer gently for 2-2.5 hours or until beef is tender. 5) At the end of cooking, add the mango and warm through for about 2 minutes.